It appears that Carol Danvers' pet cat Goose (known as Chewie in the comics) will have a significant role in the upcoming Captain Marvel film. 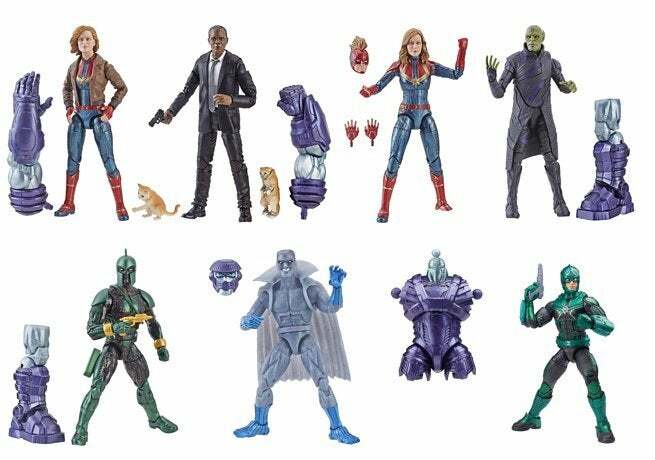 The fact that the Captain Marvel Nick Fury Marvel Legends figure includes a version of Goose in chains is evidence of that for sure. Odds are this has something to do with the fact that Chewie/Goose is a member of a powerful alien race called the Flerken, and can sprout tentacles and tiny pocket universes when threatened. 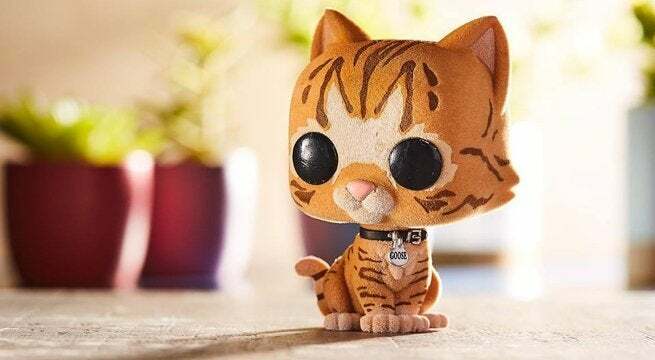 However, Funko has captured Goose in full-on cute mode, and you can get his Funko Pop in a standard version here and a flocked (fuzzy) version here. The flocked version is a BoxLunch exclusive, so jump on it while you can. As far as exclusives are concerned, look for several variants to arrive at Hot Topic, Walmart, Target, GameStop, and FYE sometime this month. Captain Marvel hits theaters on March 8th 2019.